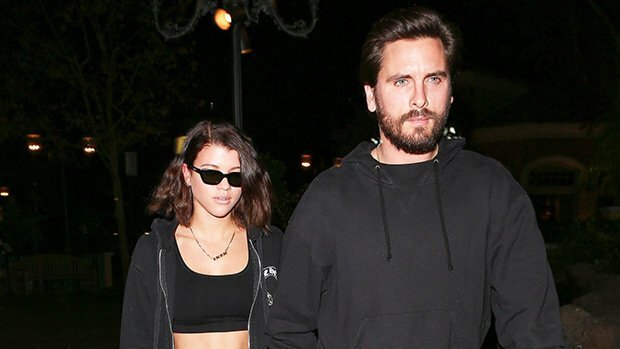 Sofia Richie is totally ignoring all the trolls calling out her & Scott Disick’s 15-year age gap, a source close to the model told HL EXCLUSIVELY! When it comes down to it, Sofia has already received a lot of advice on how to deal with trolls — including from her sister Nicole Richie. “Paris Hilton and sister Nicole have taught her a lot about the industry as has her dad and how to deal with people not saying not nice things,” our source went on to say. “You just ignore them!” Sage advice, indeed! However, when it comes to those fans who say she looks like Kourtney Kardashian, while she doesn’t necessarily agree with them, she is flattered by the comparison. “Sofia doesn’t really see the resemblance at all, but she’s flattered if people think she looks like Kourtney,” another source told us. “Sofia has always thought Kourtney was beautiful, however, she’s not trying to copy or imitate her style or look whatsoever.” We’ll keep you posted with all of the latest news about Sofia and Scott. In the meantime, check out all of their cutest moments together as a couple in our gallery above.